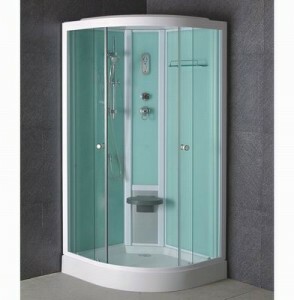 We love shower cubicles because they fit snugly into your bathroom and are an attractive addition. They’re draught free for those showering and if you’re the person who cleans the bathroom you’ll appreciate how self-contained they are, these are the most common shower installations in the UK; they are the most cost-effective and functional way of installing a shower in your bathroom. 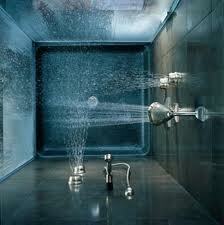 Power Showers are great- the feeling of water pounding your skin as you soak below the shower head. However, a power shower can use as much water as a bath if you like to luxuriate and take your time. The easiest solution and usually the most cost effective. If you buy a shower then we can install it for you- no problem! A wet room is a luxury- marble floors and walls, open showers and huge bath tubs- getting carried away? There are many reasons to create a wet room- a lot of people have them downstairs where they can walk in through the back door, strip off their dirty clothes and get straight under a shower. Whatever your requirements from a wet room- we can accommodate them.